We offer a community environment with a large open gym space as well as individual treatment rooms and two multi-level pools. 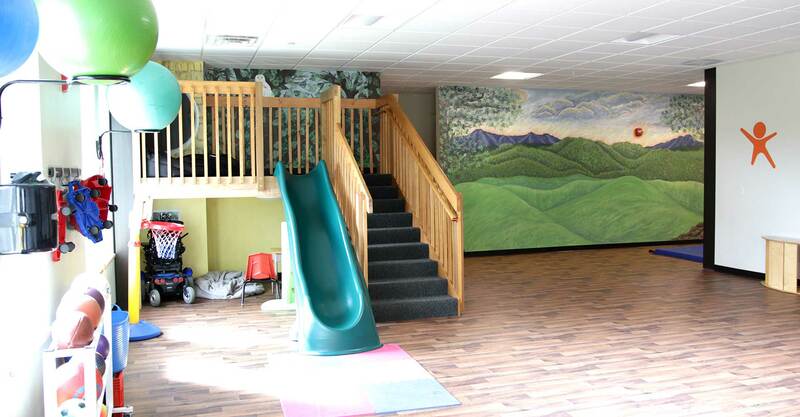 Our gym includes multiple pieces of equipment specialized to fit children, a climbing wall, swings and room to explore. 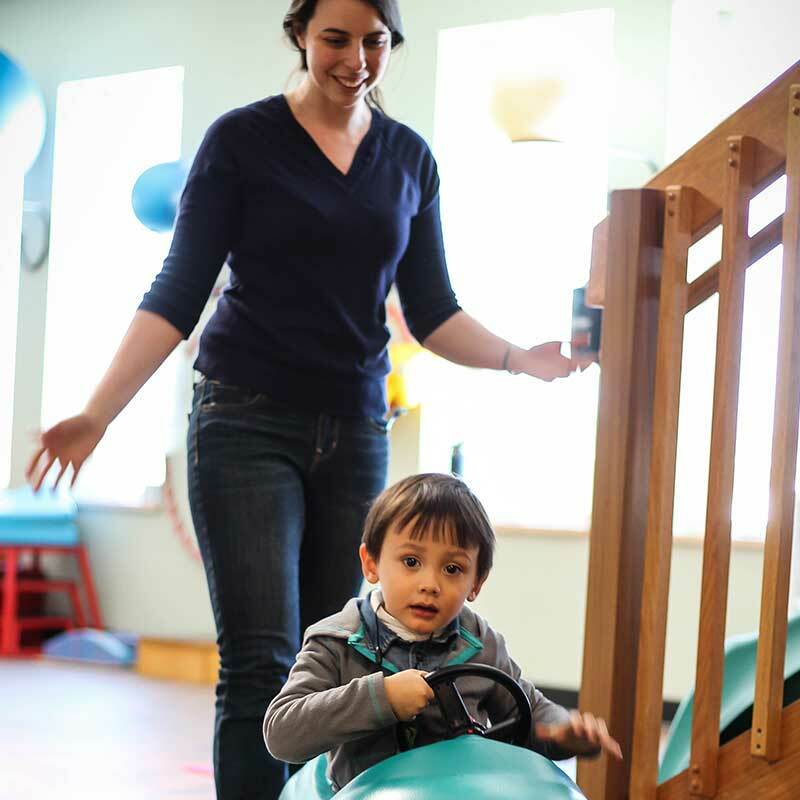 Our pediatric physical therapists educate families in the importance of motor development and how to achieve developmental milestones and to assist children in gaining their highest level of independence. 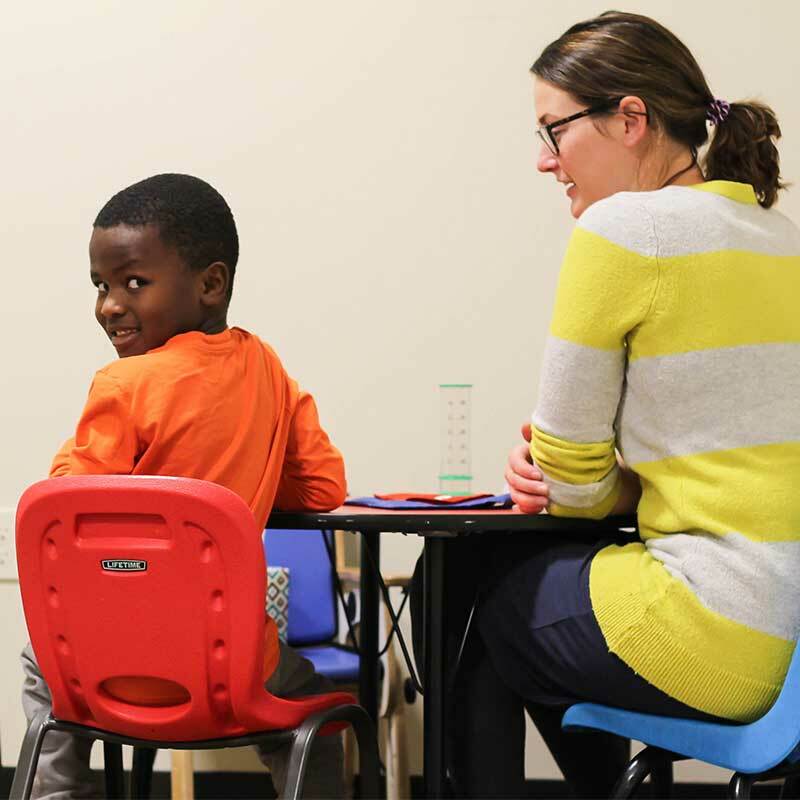 Occupational therapy is skilled intervention that helps individuals achieve greater success and independence in all aspects of their daily lives. For children this means developing underlying sensory and motor skills that impact a child’s ability to engage in play, interact with peers, and participate in self-care activities. We are passionate about supporting children with special needs and their families. 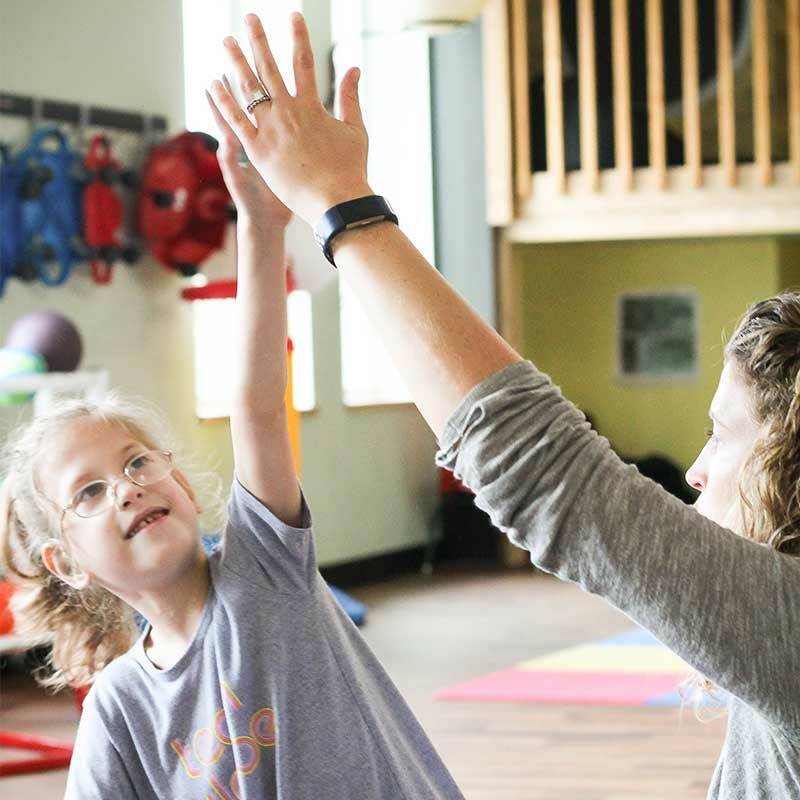 Our highly skilled pediatric therapists provide services for children with a congenital , developmental, or neurological disorders such as Cerebral Palsy and children who have Autism Spectrum Disorder. Our team also provides orthopedic intervention such as upper and lower extremity tendinitis, sprains/strains, postural asymmetry, toe walking, pes planus, joint pain or abnormalities, torticollis, and fractures. My Nina has grown so much attending the KIDS' RehabGym. They make it playful yet working her out. She's so excited to go everytime. Im thankful for all they do. 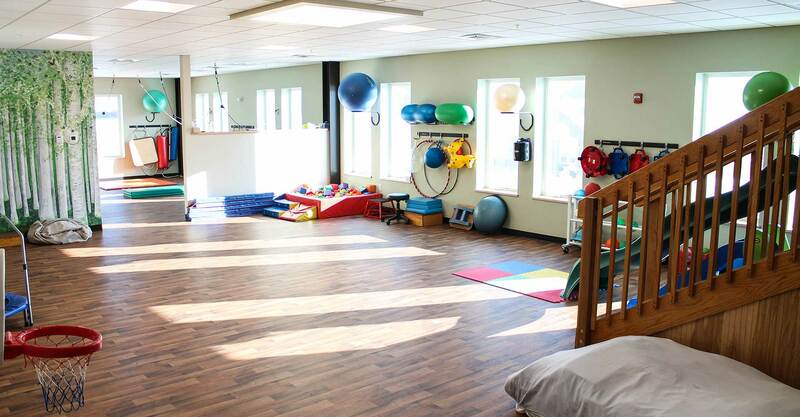 When my daughter was referred to KIDS' RehabGym in 2015, my family was in a tough spot. My daughter had recently received an autism diagnosis, and we were struggling to find equilibrium . . . We were never disappointed; we were, in fact, thrilled with the treatment and support we received. I have been taking my 4-year-old to KIDS' RehabGym since he was a baby for PT/OT at various times and everyone there is great! Wonderful people helping kids with all different kinds of needs. 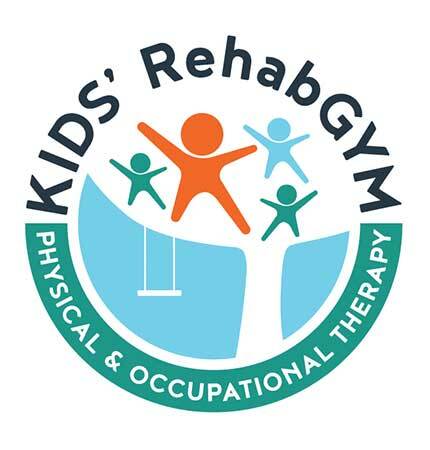 What's New at KIDS' RehabGYM? Our goal is to keep you informed up upcoming events, community resources and the latest in pediatric research.